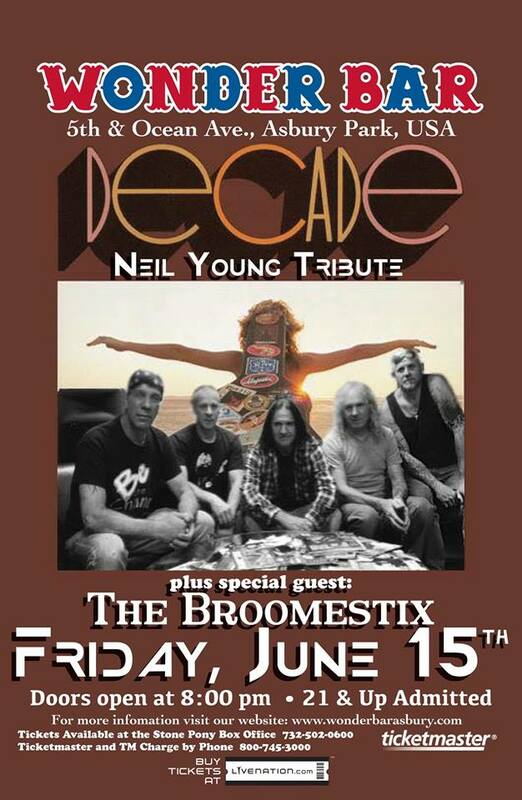 The Neil Young Tribute Decade will headline at Wonder Bar on Friday, June 15. All your Crazy Horse rocking favorites and some deeper cuts. Come down to Asbury and kick off the weekend with some Neil! We go on around 9:30...and who knows, we may throw in some other 70's era classic rock too to party down with. Also, we will be heading up the after party on 8/11 indoors at the Stone Ponyfollowing Dark Star Orchestra on the Summer Stage. Hope to see some Neil fans - cheers!